Ruby's will always have a special place in my heart. It was the site of my first date with my future husband when we were just juniors in high school. 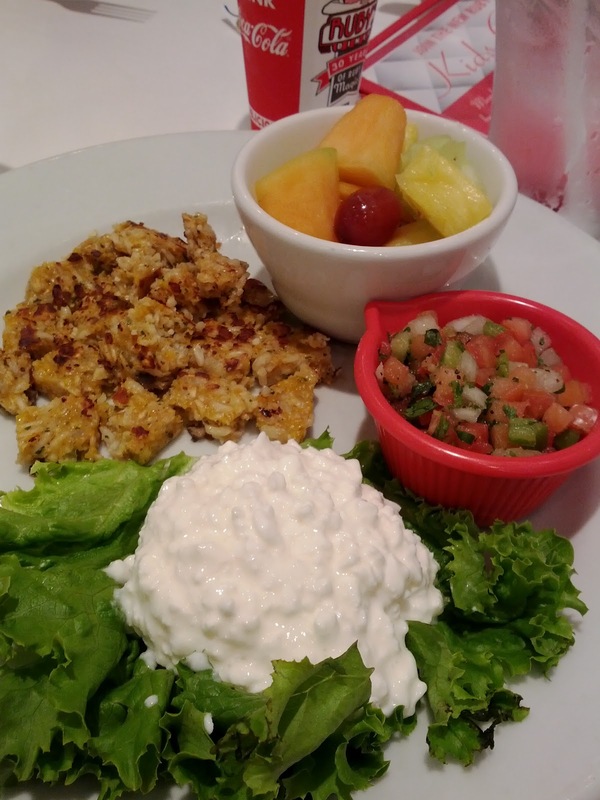 :) This diner has classic comfort foods like burgers, shakes, chicken tenders, and sandwiches. 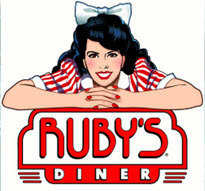 We still love to go to any of our local Ruby's Diners. My daughter just loves the retro diner decor and various themes (like trains or boats) they use to further decorate the spaces. However, I never liked the choices on the kids menu. They have your usual offenders like grilled cheese, chicken tenders, corn dogs, and the like. Not really items I like to feed my daughter. To be honest, we always took homemade lunches for her whenever we went to restaurants, but as she has gotten older, that is less of an option for us. However, there is a menu item that I do like for her on the adult menu. It is their "Skinny Lunch"! Yes, I hate the name, but it is such a great meal for her. Best of all, she LOVES it! The meal consists of a turkey or veggie patty (we opt for the veggie patty), a bowl of fruit, cottage cheese, and salsa. What a great variety for a well balanced meal! Why this can't be an option on the kids menu, I just don't understand. Now, the kids menu ranges in price from $4 - $5 and the "Skinny Lunch" costs $8.49. Even though it is about double the average cost of a kids' meal, I think it is well worth it. I hope healthier meals like this find their way onto kids' menus. It is such a great option!